Is Colombia's oil company Ecopetrol killing citizens for profit? Colombia’s inspector general blames oil company Ecopetrol for selling gasoline that is a public health hazard, but fails to address the government’s neglect to impose common fuel quality standards. 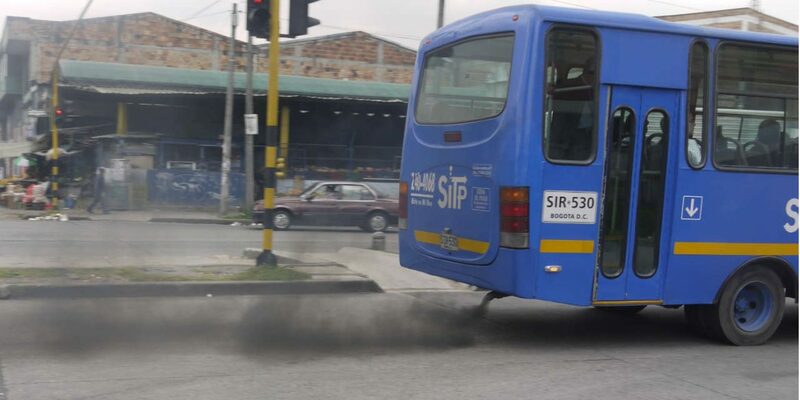 The state-run Ecopetrol has come under renewed pressure to lower excessive sulfur levels in gasoline after Medellin, the country’s second largest city, announced measures to improve air quality. To prevent a health emergency, the local government in Medellin announced emergency measures on Thursday that include restrictions for drivers and motorcyclists. The substandard quality of gasoline is the main culprit of pollution in Colombia’s second largest city, where according to estimates eight citizens die every day as a consequence of the low air quality. According to Ecopetrol, the sulfur level of its gasoline is 221 particles per million (221ppm). This is more than 20 times higher than what is allowed in gasoline sold in the United States and the European Union, where environmental regulations for fuel products are considerably stricter. According to Colombia’s inspector general, Fernando Carrillo, Ecopetrol has ignored calls to voluntarily commit to lowering sulfur levels in the gasoline and diesel products sold in the country. Carrillo accused the state-run oil company of prioritizing profits over the environmental and health hazard posed by the substandard quality of its refined oil products. Some believe that development processes continue to be guided by traditional patterns of economic cost and benefit, as if the environment does not have its own dynamics, as if one is unable to measure the social and environmental costs. Also Medellin Mayor Federico Gutierrez urged Ecopetrol to take part in a public-private pact to improve the air quality in the polluted city. “The residents of Medellin and the Abbura Valley need Ecopetrol’s commitment to improve the quality of fuel that is sold in the region,” Mayor Federico Gutierrez said three weeks ago. Ecopetrol said in 2014 that its products’ sulfur levels are considerably lower than the standards set by the national government. 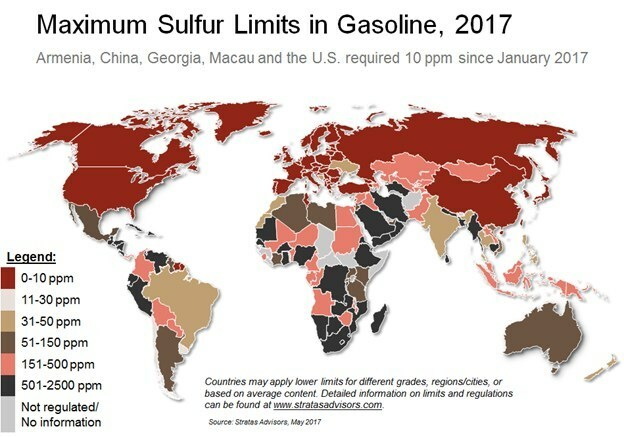 The Colombian government allows sulfur levels in gasoline that are 30 times higher than those in the US and Europe. Neither Carrillo nor Gutierrez dared to address the national government’s failure to update the quality standards of fuel. Colombia’s fuel standards are among the most lenient in Latin America. Only Venezuela, Ecuador and Peru use even more lenient standards on the oil products sold at gas stations, according to an study by Stratas. Neither the national government not congress have shown interest in updating the fuel quality standards for almost a decade. The national government is largely dependent on its oil company to pay its bills. Imposing stricter environmental regulation would directly affect the country’s treasury.